The MK 17 is one of the best Assault Rifles in Ghost Recon Wildlands. Until now, it is one of the most popular weapons in the game and so it is also quite difficult to get. The troops of the Unidad protect it, so you have to adjust to a hard combat. In this guide, we will show you how to get the best Assault Rifle and show you where you can find it. 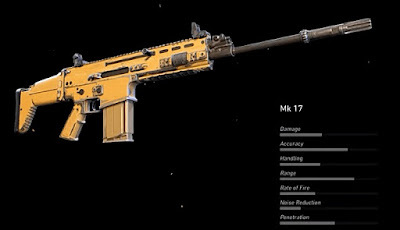 You can find the Mk 17 in the Flor de Oro province in the south east of the map. It is located in the weapon chamber of a Unidad base. It is recommended that you kill the guards as silently as possible so that they don’t make sound / alarm. The Unidad troops are usually very fast when they are attacked, so you should rely on safe shots. Go to the location where you can see the boss's portrait. Since the opponents in this region are quite hard, you should take a helicopter so that you can reach the location without much danger. However, be careful as there are rocket positions on the way. So try to fly low to avoid their sensors. Once you are near the base, you should go to a nearby mountain, where you have a good view of the base from there. You will find the Mk 17 in a small building marked with Armeria. Before you get on your way, you can kill a large part of the soldiers with a sniper rifle with a silencer. To the east of the camp, near the generator is a door through which you can carefully enter the camp. Now take the remaining soldiers with a silencer. There should be only a few fighters left fight with you. You have to venture over the big square and find the Assault Rifle Mk 17 in the armory to the left of the tower. The values of the weapon are not in the highest range, but it is very good in terms of precision and range.